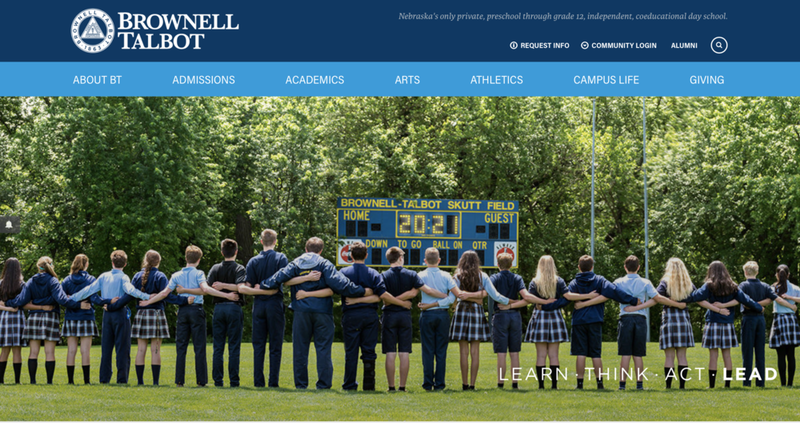 Brownell Talbot School in Omaha, Nebraska has selected ISA for research and strategic services. Our work with the school begins in February and continues on through the next academic year. Brownell Talbot is Nebraska's only private, preschool through grade 12, independent, coeducational day school. We are delighted to welcome the school to our ISA family. Brownell Talbot School was founded by the Rt. Rev. Joseph Cruickshank Talbot, D.D., then the Episcopal Bishop of the Northwest. Bishop Talbot's decision was inspired by his desire to bring cultural and educational opportunities to the daughters of the pioneers, while sparing them the long journey to eastern boarding schools. As a girls’ boarding school, Brownell Talbot was originally named Brownell Hall. Bishop Talbot named the school for the Presiding Bishop of Connecticut, Thomas Church Brownell, whose parish provided a large portion of the funds needed to purchase the school’s first home, at what is now 24th Street and Grand Avenue. In 1952, the decision was made for Brownell Hall to become coeducational, and boys were enrolled in the Talbot School for Boys, named for the founder of Brownell Hall, Bishop Talbot. The school was called Brownell Hall-Talbot School for Boys until 1963, then renamed Brownell Talbot School. In 1967, Brownell Talbot became independent of the Episcopal Church. Today, Brownell Talbot is Nebraska's only independent, coeducational, college preparatory day school serving students from preschool through grade 12.